A violent and hypnotic world created by a director willing to push the envelope and challenge modern mainstream audiences and studios. In 2011 Nicolas Winding Refn wowed audiences with his portrayal of a neon 80’s saturated Los Angeles underworld in his film Drive. Ever since, people have been anticipating a follow up that matched its intensity and mood, not to mention its cool factor. Winding Refn’s latest will challenge cinema goers just as much as his previous films have. It is by far the most experimental and creative film to get a wide release this year and most certainly matches its predecessors intensity but its ability to capture the imagination of the multiplex audience will be tested. In Only God Forgives Winding Refn replaces the streets of Los Angeles with the gritty and raw streets of Bangkok. Shot by Larry Smith of Eyes Wide Shut fame, Winding Refn’s vision of Bangkok is a dark, dirty and menacing landscape. Filmed almost entirely at night Only God Forgives is a mesmerising painting of brooding, threatening colours and a neon boiling pot threatening to burst at any moment. Gosling, supporting a similarly stone faced character to that of his Drive counterpart plays a rather complex and engaging Julian, an expat running a Muay Thai gym with links to Bangkok’s criminal underworld. After Julian’s brother is murdered by corrupt police his bleach blonde, quite terrifying mother played by a scene stealing Kristin Scott Thomas arrives to charge Julian to find and kill his brothers murderer and those involved. A sequence of events that finds Julian then pitted against the equally frightening Chang (Vithaya Pansringarm) a senior policeman who is a constant ominous fixture throughout the film. Slow moving, methodical and menacing Chang sets the tone for the film as a whole. Chang and Julian are interesting adversaries as Winding Refn challenges our ideas of good, bad, violence and the human psyche. Throughout Only God Forgives it’s hard to know who to root for as roles are never clearly defined and no one is overly likeable. Equally interesting are Gosling and Pansringarm, both hardly speak throughout the film but have an undeniable presence even when off the screen. Both ooze menace and violence and when coupled with the incredibly tense atmosphere provided by Winding Refn and Smith make for an explosive showdown between the two that threatens to overflow the screen. A scene that is masterfully built up and then revealed with precision and will no doubt become a cult classic for some. There is a lot of slow walking, slow talking and slow panning in Only God Forgives that will irritate some and amaze others. Each frame is painstakingly precise into building up Winding Refn’s mood and makes for a visually stunning experience. Winding Refn asks his audience to join the dots with his hardly there plot and instead prefers to flood the viewers eyes with stylistic and mesmerising shot after shot. Here we have a director proving himself to be one of the hottest commodities in film pushing boundaries and creating art on the screen amongst brutal flashes of violence. 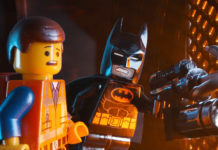 And while some may be lost to the style over substance approach others will revel in the unique filmmaking bleeding into mainstream cinemas, if not just for the cultish cool factor. 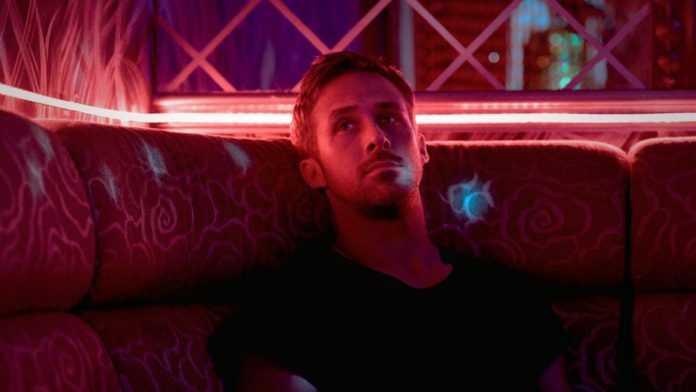 If you didn’t like the neon lit criminal underworld of Los Angeles and Gosling’s wooden anti hero from Drive you probably won’t like the neon lit criminal underworld of Bangkok and Gosling’s wooden anti hero in Only God Forgives. However, here we have a beautifully shot fully realised violent and hypnotic world created by a director willing to push the envelope and challenge modern mainstream audiences and studios.